Sometimes you can’t win for losing. Unless you’re the Albany Devils. This season the A-Devils have lost their top two defencemen in Eric Gelinas and Jon Merrill, alternate captain Tim Sestito and leading goal scorer Reid Boucher, on recall to New Jersey. Plus they’ve been without the injured Scott Timmins and Darcy Zajac. 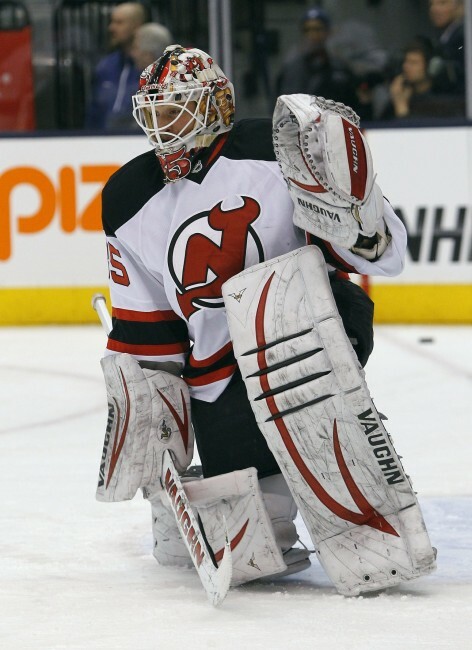 Still though, save for a brief hiccup when goalie Keith Kinkaid was called up, Albany seemingly hasn’t skipped a beat. So once again that meant guys would have to come together and step it up in a home tilt against the AHL Northeast Division leading Springfield Falcons. The Falcons too were dealing with their own loss, as former Devil netminder Mike McKenna was recalled by the Columbus Blue Jackets. 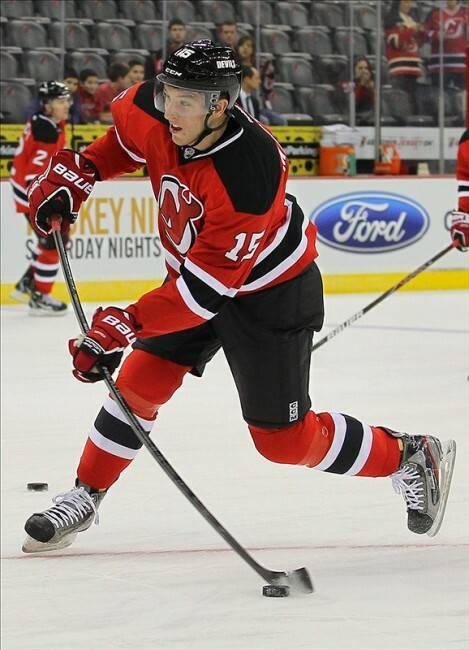 It was a call-up the Devils would capitalize on. One theme that permeated throughout this contest, these teams clearly don’t like each other. It even included a “Gordie Howe hat-trick” by Chris McKelvie, who also had quite a nifty leap, which won’t show up in the box score. Following a power play put back by Falcons captain Ryan Craig, the Devils would counter with the extra attacker as well, in the first. Minutes after Joe Whitney nearly tallied the equalizer, Raman Hrabarenka dropped down from the point and potted the puck past Jeremy Smith. As the period waged on, the Devils captain Rod Pelley, who nearly had a “Gordie Howe hat-trick” of his own, gave Albany its first advantage of the game. From the right circle, Pelley torched the top shelf, besting Smith over the stick side shoulder. Albany also should’ve gotten an additional goal by Harry Young but it was waived off on a phantom goalie interference call. Doubling the Albany lead in the second stanza was Stefan Matteau. Parked in front of the Springfield net, Matteau redirected a Dan Kelly shot, to stake the Devils to a 3-1 lead. The Matteau goal notwithstanding, the Falcons put quite a firm grip on the second frame, out-shooting Albany by a count of 19-3. The barrage could’ve been worse, if not for the brilliance of Kinkaid, who made 30 stops. Midway through the period, Jean-Francois Jacques would slip through the Devils defence and backhand the biscuit by Kinkaid, pulling Springfield within one. Moments later, the Falcons pulled even. Off a Michael Chaput shot, which died off the stick of defenceman Reece Scarlett, Craig powered home the loose puck for his second of the contest. Then, as the period was winding down, with less than a minute to go and the Falcons on the power play, the Devils had a swarm of bodies around the net but didn’t bump Chaput. Off a Spencer Machacek feed from behind the cage, Chaput buried the biscuit and Springfield regained the edge at 4-3. However the pendulum would swing back drastically in the third. In that third, Albany peppered the net, out-shooting Springfield, 23-7. Exactly one minute into the third period, Artem Demkov, who made an impression in the preseason and was called up from the ECHL Elmira Jackals, put home a rebound on the doorstep, knotting the game at four. Another case of the Devils not missing a beat. Finally, on a sweet breakout feed, high off the glass from Mike Hoeffel, McKelvie put a bow on his impressive evening. Charging down the ice, McKelvie was able to fit the puck past the Springfield keeper and Albany would keep the lead for good. An empty netter from Mike Sislo, accounted for the sixth marker on the evening for Albany and a huge 6-4 home ice victory. That’s 14 goals in two games for the A-Devils. With that victory, Albany registered its 13th win of the year and their 28 points put them within two of Springfield for the Northeast Division lead. It also snapped the Falcons’ eight-game point streak.